Tom Mann , district governor of Rotary District 6880, made his inaugural visit with the Auburn Rotary Club. As district governor, Mann is an officer of Rotary International and represents the international board of directors in the field. 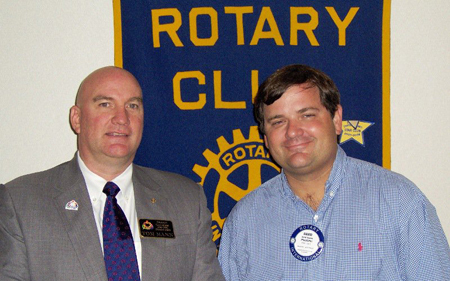 A charter member of the Montgomery Sunrise Rotary Club, Mann now leads the district of nearly 50 central and south Alabama Rotary Clubs. Pictured with Mann is club president David Reaves.